The auction features the works of over 40 internationally renowned and emerging photographers; proceeds will fund the BDC's educational programs, exhibitions and public programming. 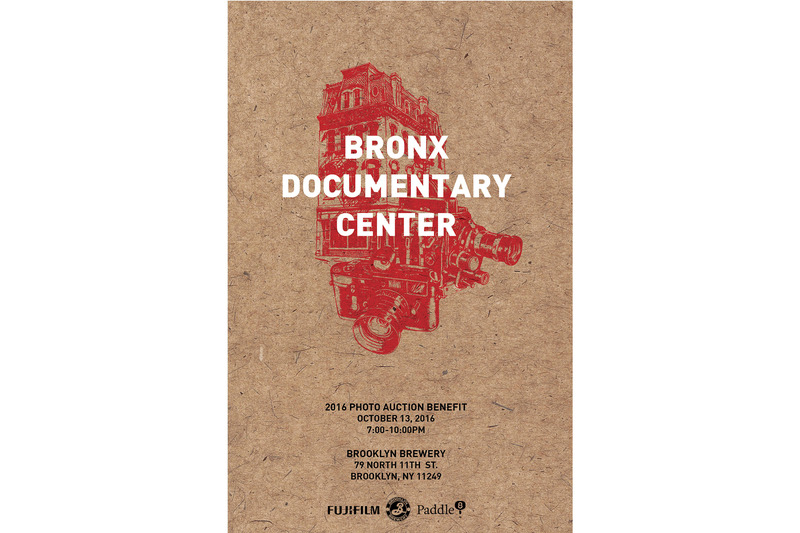 The Bronx Documentary Center (BDC) invites you to our 2nd Annual Photo Auction Benefit on October 13th, 2016. We are taking the Bronx to the Brooklyn Brewery to celebrate our five year anniversary and honor photographer Joe Rodriguez. The auction will feature the works of over 40 internationally renowned and emerging photographers; proceeds will fund the BDC's educational programs, exhibitions and public programming. We’d love for you to be part of this important event. The Bronx Documentary Center is an educational space and gallery. Our mission is to share photography, film and new media with underserved Bronx communities and the cultural community at large. We work to ensure people of all colors and incomes help shape ideas and images about our communities. Since 2011, the BDC has had many successes, including dozens of thought-provoking exhibitions featuring emerging and internationally renowned photographers. We are proud to have also trained up-and-coming photographers, journalists and documentarians in the South Bronx community. Initiatives like the Bronx Photo League, a mentorship and technical training program for Bronx photographers, our free after school program for Bronx youth – the Bronx Junior Photo League, as well as lectures and other public programs are just some of the ways that we do this. You are invited to an event that will bring together hundreds of photographers, documentarians, political leaders, philanthropists, friends and long-time supporters for a night of fundraising and celebration. Many of the most celebrated photographers in photojournalism, portraiture, landscape and documentary photography have donated images for this auction. Prints of all size and subject matter will be available, many of them museum quality and ready to frame. Tickets include entrance to the auction, hor d’oeurves, drinks, and the opportunity to take part in the photo auction.